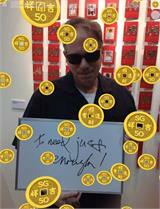 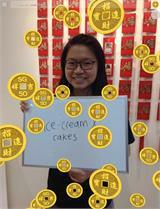 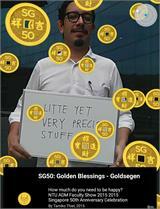 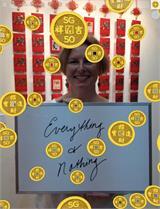 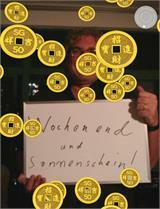 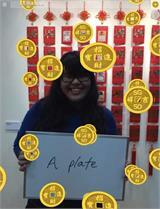 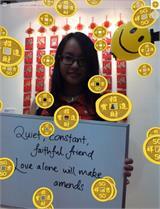 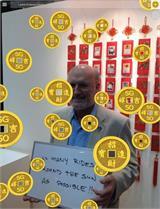 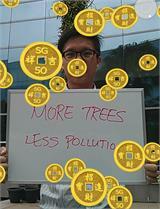 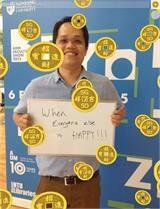 This second edition of "Goldsegen" celebrated Singapore’s 50th anniversary and the Lunar New Year. 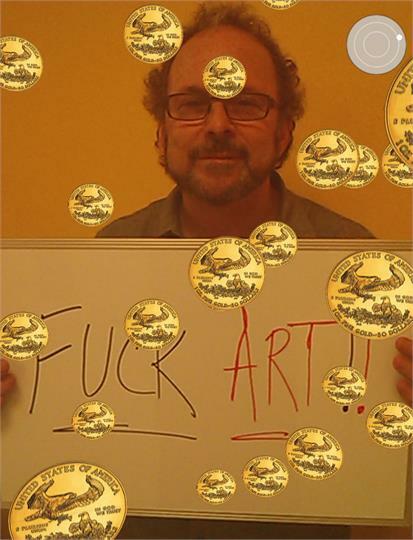 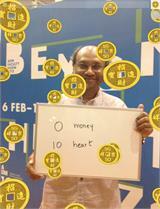 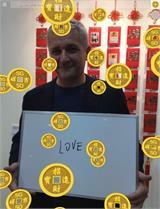 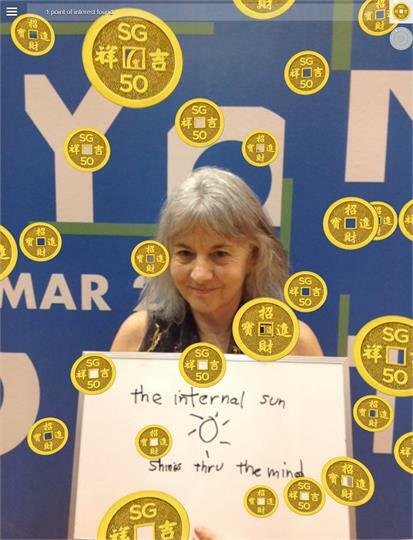 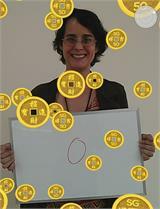 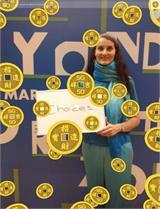 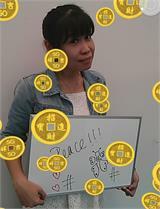 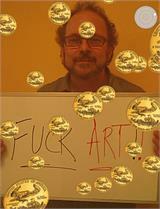 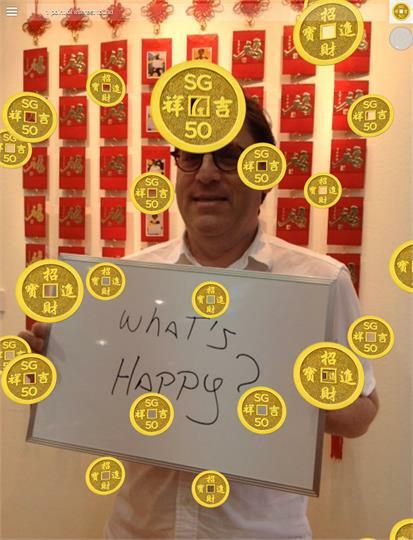 The instant photos of participants, standing in a cloud of auspicious gold coins holding their answers to the question "How much do you need to be happy? 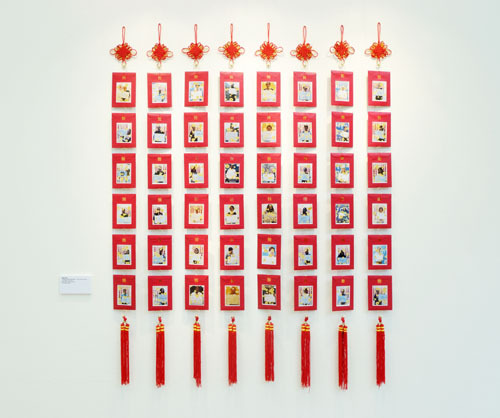 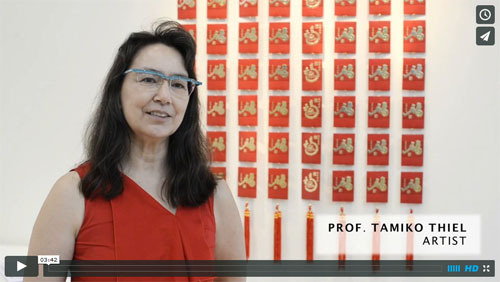 ", were presented to them sealed in traditional Chinese New Year “money packets.” A second copy of each photo was added to a wall hanging created in the style of an auspicious Chinese New Year's decoration and was exhibited in the gallery. 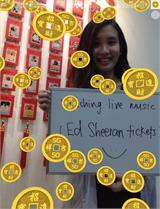 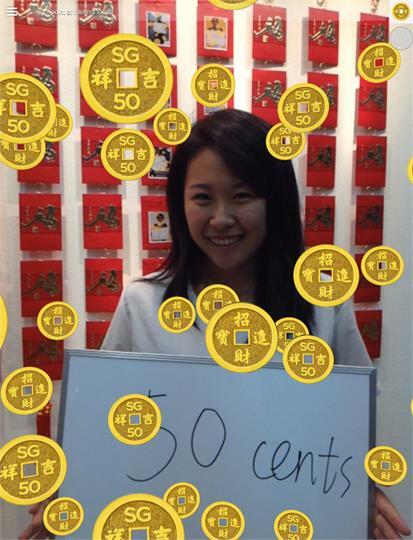 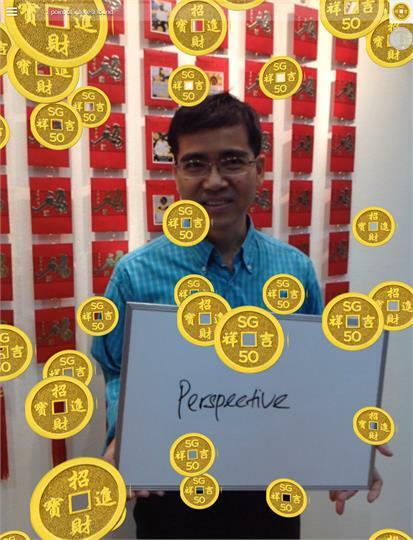 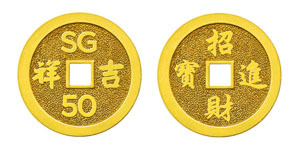 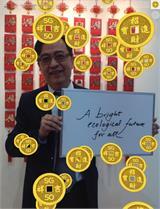 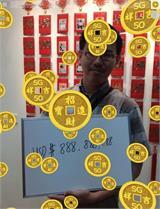 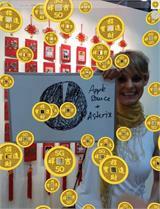 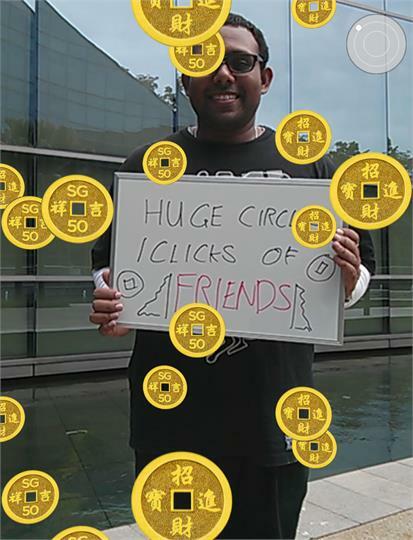 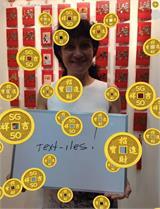 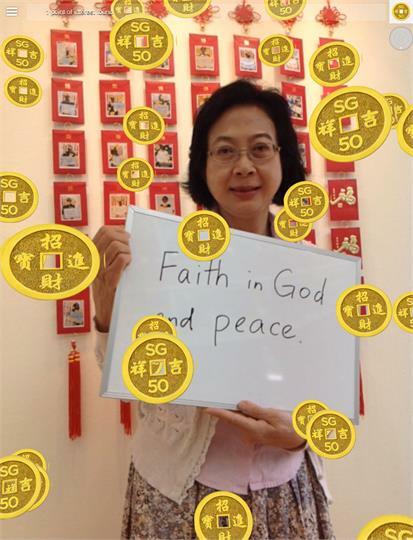 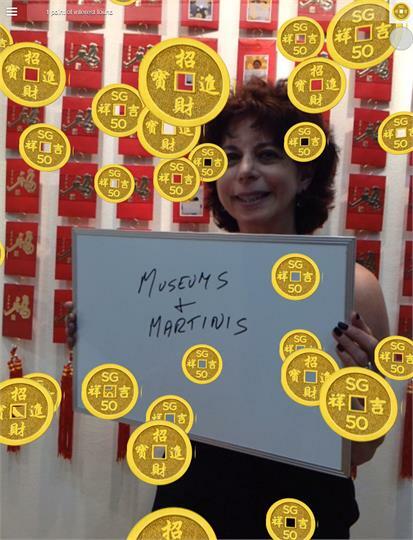 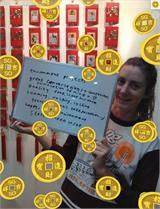 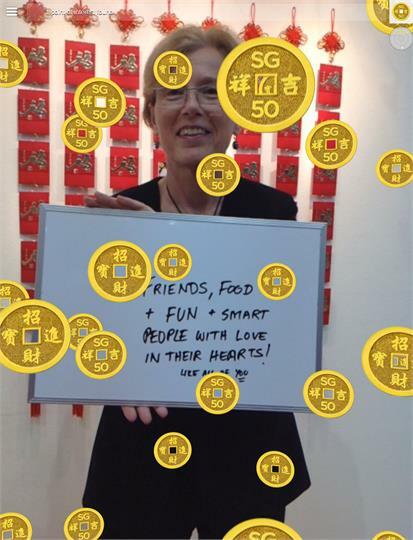 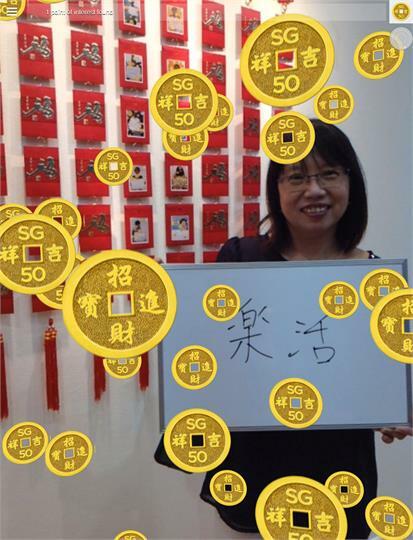 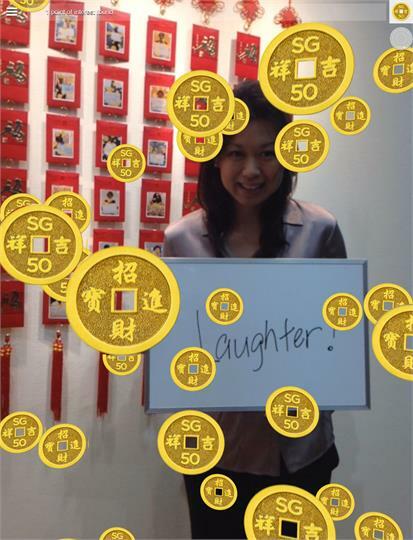 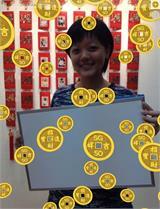 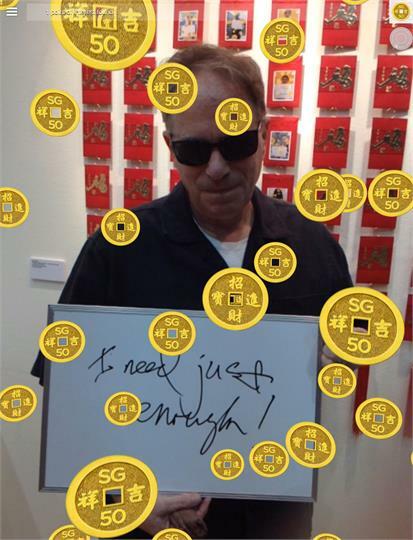 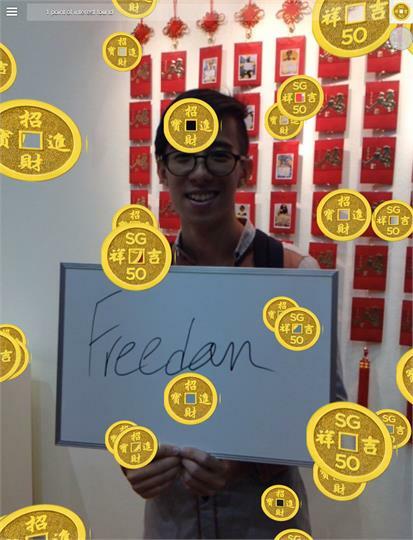 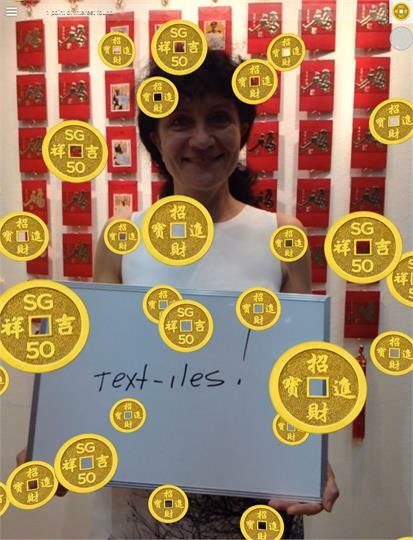 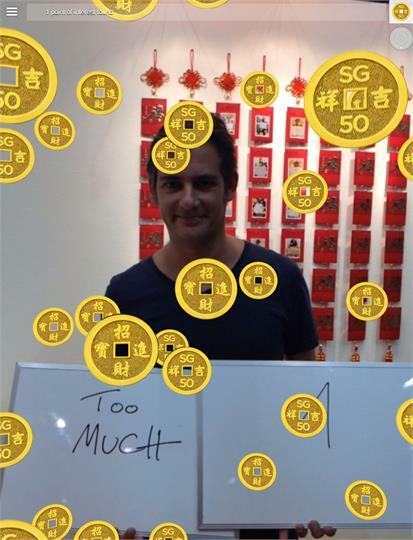 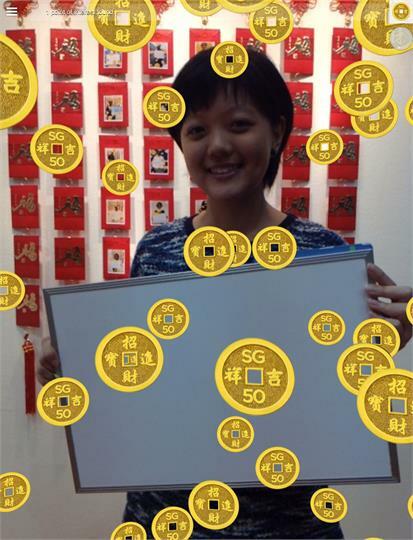 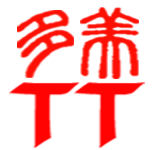 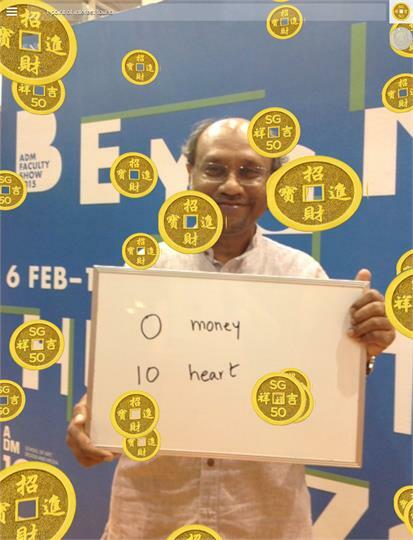 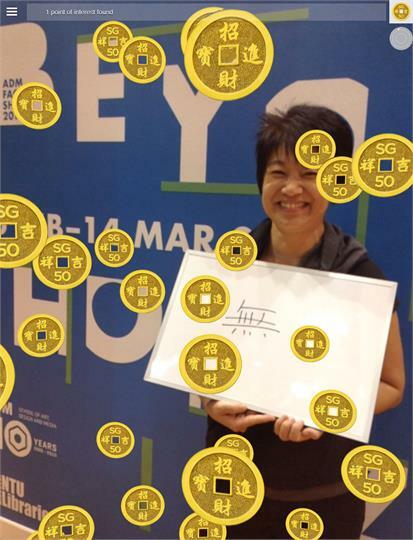 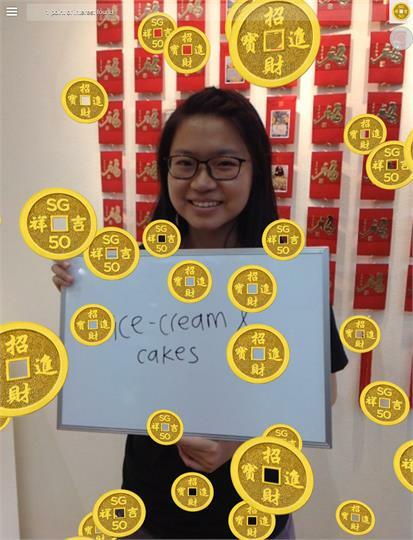 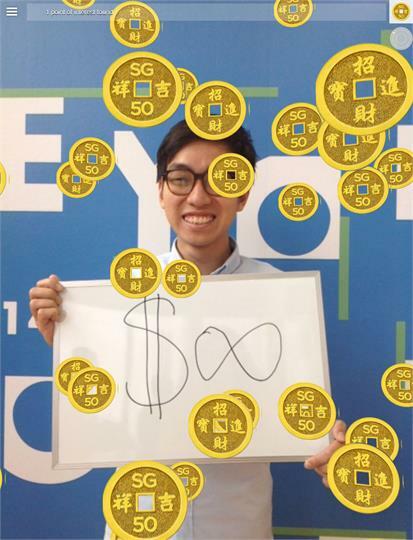 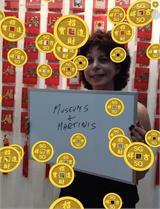 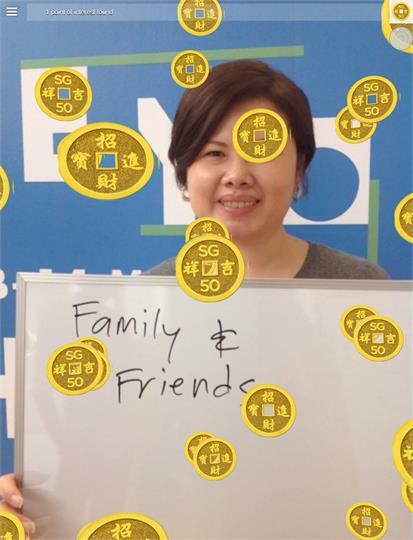 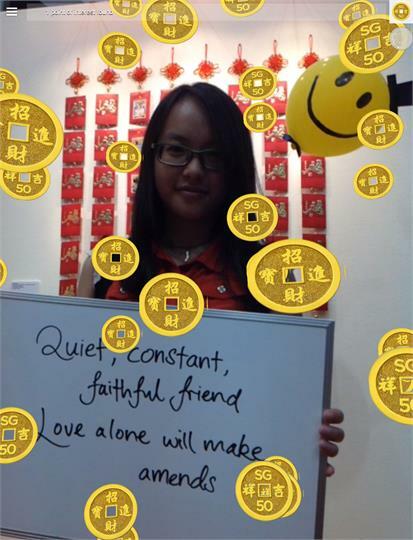 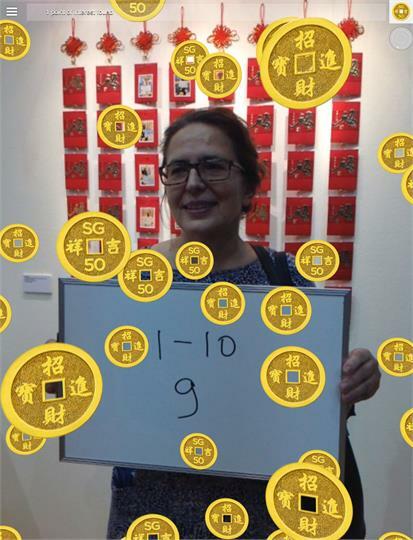 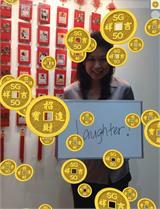 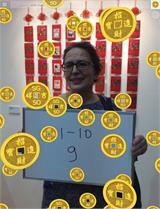 The augmented reality virtual coins, designed by the artist, celebrate Singapore’s 50th anniversary SG50 with Jíxiáng (吉祥) - "Auspicious Wishes" on one side, and call for good fortune in the New Year with Zhāo Cái Jìn Bǎo (招 财进宝) - "Money and treasures will be plentiful" on the other side.